Hey members of Hurt, I've been looking for a clan to join lately that is active in APB. I'm just wondering how active you guys are in APB. Im rank 160 been playing since early beta on and off. Can't stand running with pub stars all the time and im looking for some communication and teamwork to have a little more fun in this game. Thanks! DexterVanhorn wrote: I'm just wondering how active you guys are in APB. Hands down the most active enforcer clan on joker server. 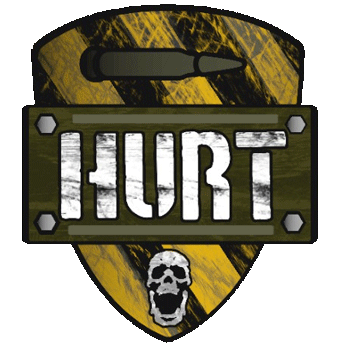 DexterVanhorn wrote: Can't stand running with pub stars all the time and im looking for some communication and teamwork to have a little more fun in this game. Thanks! Well using teamspeak is a requirement for joining & maintaining membership. So communication & teamwork comes with the territory. We are not however skill based by any means, we welcome players of all skill levels & expect all our clan mates to be treated with dignity. Thanks for the response! my new mic should arrive tomorrow so I'd be happy to drop off an app and come play along side you guys. I hear ya about running solo in this game! Drives me NUTS when some random dude takes my car spawner and DRIVES IT INTO THE MIDDLE OF THE ENEMY SWARM!!!!! AAAAARGH! Or when they take it and DRIVE AWAY FROM ME AS IM TRYING TO GET INTO MY OWN DAMN CAR! AAAAAAAARGH! But yes, PLZ get TS up and running. It is a game changer! Dude tell me about it, Its the absolute worst!